Numerous cargo and passenger interior configuration combinations can be used with one, two or three sets of cargo decks in the C-12. 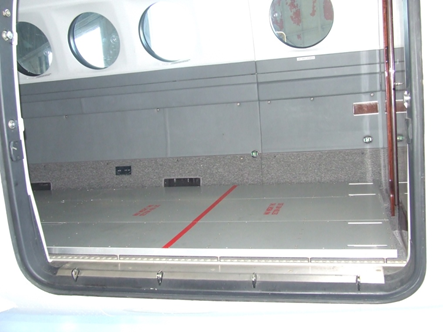 The Aerospace Resources cargo system provides a flat cabin floor for easier loading of freight. The cargo system can help prevent damage to the freight because of the flat floor. The rugged cargo equipment will keep the existing cabin floor from damage that can cost thousands of dollars and keep the plane flying. 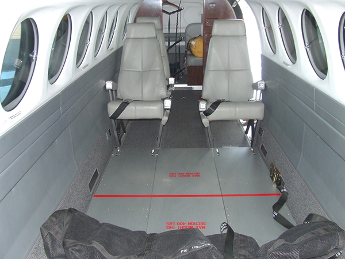 Floor damage caused by placing a pallet of freight on the existing honeycomb floor of a King Air without the cargo system can ground the aircraft for weeks and cost more than the acquisition of the cargo equipment. The C-12 can carry large, priority cargo to remote airstrips on short notice. AOG parts, disaster relief supplies and other urgent freight can be moved from a depot to where it is vitally needed in hours instead of days. The cost of operating a C-12 is a fraction of that of a UH-60 Blackhawk or CH-47 Chinook. The longer range and higher speed of the C-12 will solve numerous logistics problems. The C-12 can keep your helicopter fleet available for vertical missions instead of being away from base flying freight. The flat cargo floor and large cabin door on C-12 make an excellent cargo platform. It is easy to load and unload freight in remote locations without heavy ground support equipment. The numerous cargo configurations allow for carrying personnel with their full gear. 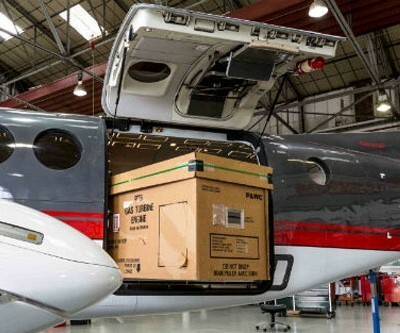 The existing aft cargo area of the C-12 will typically bulk out when carrying passengers and the Aerospace Resources cargo system will allow for much more volume and weight carrying capacity. The Aerospace Resources cargo system is interchangeable between the aircraft in your C-12 fleet. After the existing cabin items (such as seats) where the cargo system will be installed are removed, the cargo system can be installed in a few minutes by a single person. No tools are needed for the installation or removal of the cargo system. The cargo system can increase the versatility of your entire fleet. 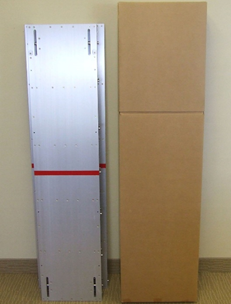 The entire cargo system can easily be shipped anywhere in the world in just a few days. It is simple to box the cargo decks and they can be transported by almost any freight forwarder via ground or air. The cargo equipment is lightweight and durable. It is easy to store when not in use and the rugged construction will allow you to carry cargo in your C-12 fleet for years.